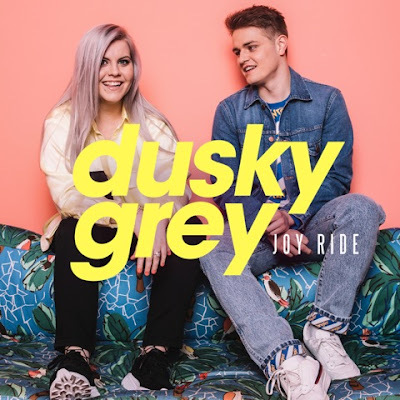 Home / brand new / Dusky Grey / música / video premiere / Dusky Grey release new single "Joy Ride"
Dusky Grey release new single "Joy Ride"
Welsh pop duo Dusky Grey return today with their infectious new single Joy Ride, out now on East West / Warner Music. Produced by James Earp, Joy Ride with its tropical melody and laid-back vibe will weave you under its irresistible spell. The song is accompanied by a video that sees Catrin Hopkins and Gethin Williams aka Dusky Grey hanging out with friends in an abandoned car park rooftop where they take on their rivals in a trolley dash. Watch it below! Joy Ride is about the peer pressure young people feel as theyre growing up.... It's such a common thing for teenagers to be doing things because their friends are, even if they don't necessarily want to. It's about that Everyone else is doing it, so why don't you? moment we all experience. We thought it was important to relay the message of just doing what you want to do, and not letting anyone force or encourage you to do anything you're not into. Having independently released Told Me in November 2016 nothing could have prepared Dusky Grey for the pace with which Told Me would gather. They quickly followed that song with another pop banger in the shape of Call Me Over.